The ASFOA Board of Directors set the 2018 Registration Fee at $90. The Fee includes the Mandatory Background Check as required by GHSA every Three Years. Congratulations to Rob Hobby for being selected to work the GHSA All Star Game to be held in Macon, Ga on Dec. 28th 2017. Congratulations to all the Allstar Football Officials that were selected to work in the GHSA State Championship Games held on Dec. 8th and 15th 2017. Our association had 7 Officials on different crews from throughout the state and all did an excellent job in representing ASFOA. We also had several Officials that worked the Clock and Chains in the Playoffs and each did a great job. Thanks to all that contributed to the Playoffs in any capacity. The ASFOA famiily lost a longtime member this past week with the passing of Don Bryan. Don was a member of ASFOA for over 25 years and workED in many areas of high school athletics. Don joinED our association at the age of 62 and worked exclusively as an ECO. 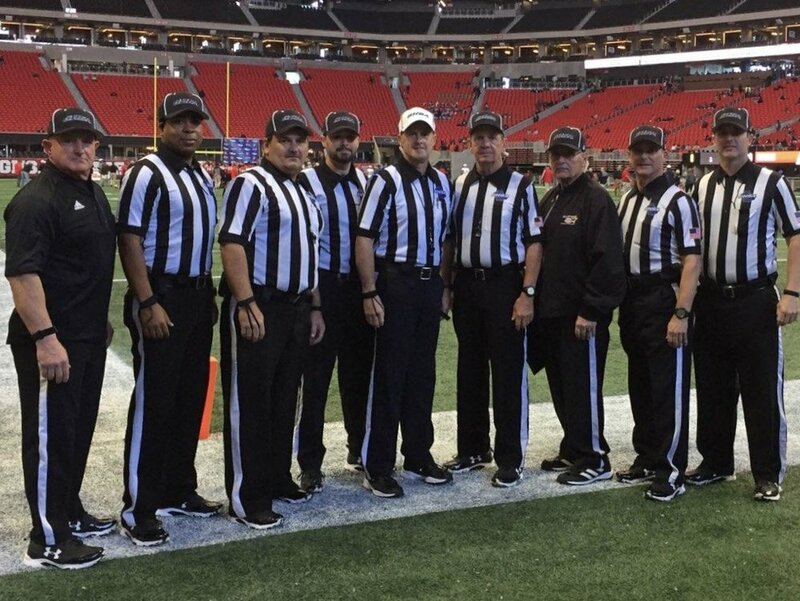 Don achieved the highest level in Football Officiating by working numerous State Championship Games in GHSA and GISA. Don will be missed and we want his wife of 69 years ( Bernice ) to know we are thinking of them as time goes forward. Rest in Peace DON BRYAN..